Dubai appeared to be a pretend metropolis to many outsiders. To many, it was as if the city was a sandcastle, and the first significant crisis would lead to its economic collapse. This was personified by the droves of expatriates who left when Dubai was hit by the recession in 2008. However, Dubai seems stronger than ever, fundamentally, in many facets and particularly for those looking to obtain Senior Level and C-Level roles in the emirate. The economic upturn has taken place in multiple elements of the economy. While petrodollars are still invaluable, trade, aviation, tourism and the retail sectors have also been key components of Dubai’s economic growth. The real estate and construction sectors have even begun to turn the corner, with developers awarding construction contracts and selling new projects; this would have been unbelievable several years ago and signals an upturn in demand for Senior Management candidates to oversee the new projects. The roaring growth and extravagance of the pre-2008 era, it must be warned, has not continued in Dubai. The glitz and glamour of that time was a fool’s gold, which would never have any staying power. In its place, more practical and conservative growth policies are the norm – leading to a more sustainable economic climate. Skills in demand focus on Finance and Technology as reported last week. With 85% of finance leaders concerned about losing their top performers to competitors in the next year, this is a good time to be a Senior Candidate in finance, in the UAE. C-Level technical roles in financial services, risk and compliance are in high demand, and companies are seeking candidates from the UK and Europe to fill these roles. In Technology and IT, just about every role is in demand, primarily from that of CIO/ CTO to IT Director, to Business Analyst, ERP Manager, System or Database Administrator, and more. Same is the case with Senior HR and Legal job profiles. However, of key importance for today’s Senior Executive or aspiring CEO is to utilise vital networking techniques to get your skills and expertise noticed by recruiters. Today, recruiters use online resources such as LinkedIn and Twitter to connect with senior candidates rather than traditional job advertising methods. They use professional networking sites to vet candidates and ensure they match all the criteria they are looking and live up to the expectations that such a senior role demands. Learn about how to use the most effective features of LinkedIn from our previous article – LinkedIn: The Top Features You Need to Use Effectively. One of the facets of Dubai society that reflects the more conservative side to Dubai post 2008 is the normalisation of salaries. Gone are the days of exorbitant salaries. Instead, salaries are more consistent across the board and on par with those found in the United Kingdom. While this may appear less appealing, remember that Dubai still comes with a large financial gain for expatriates. This is due to the income tax free status of Dubai. A senior executive could still save as much as half of their salary by moving their business operations to Dubai. Salaries across the board are continuing to recover as reported in our Job Market Update. 2013 saw a 4% increase in most sectors, represented a steadier and sustainable increase. Living accommodations also have shifted with the reemergence of Dubai. The odds of residing in one of Dubai’s central areas have become far slimmer than in the past. 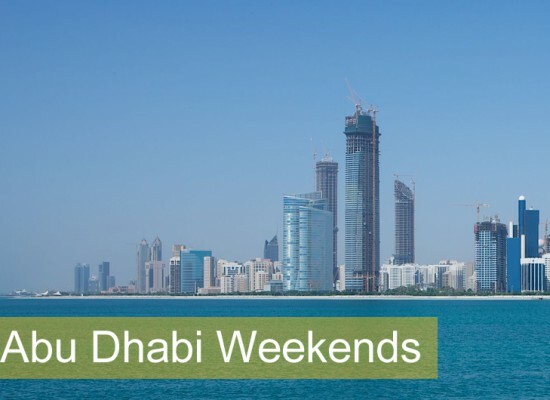 These include some of Dubai’s more established communities such as The Meadows, The Lakes and Palm Jumeirah. This is due to the rising real estate prices found within these communities, which are continuing to skyrocket. However, do not be disconcerted as more practical and cost-efficient communities are available and tend to actually offer more of a community feel. Many expatriates have turned to communities such as Motor City and Jumeirah Village Circle as great alternatives to enjoy residing in Dubai. The United Arab Emirates has made some significant upgrades in its public services since the end of the recession. The nation has completed its national identity card system, and has begun to operate the scheme. This national identity card will be required for an increasing number of government services; one of the most prominent of these will be in the buying or selling of property. Similarly, Dubai has opened its metro railway line. The Dubai Metro presently provides two lines which provide quick and efficient transportation to many of the major parts of Dubai. With the developments made to Dubai’s infrastructure, it will be in a greater position to expand and accommodate the greater diversification of the state’s economy. Dubai continues to be a prime location for fantastic events and festivals. This winter season will be no different. Beginning on 28 November, Dubai will play host to the Emirates Dubai Rugby Sevens. This competition will showcase the world’s best rugby sevens players. Beyond the outstanding rugby, the Rugby Village will be the hub of great social activity for children and adults alike. Great music will also be on display, courtesy of the Rugby Rock concert. The Emirates Dubai Rugby Sevens will run 28 Nov to 30 Nov.
Dubai will be celebrating its independence this December in as great of style as always. To commemorate its independence from the United Kingdom, which occurred on 2 December, 1971, Dubai celebrates National Day. Shopping malls and monuments will host a series of events open to the public. Fun activities often include camel riding, competitions, concerts and exhibitions. To top it off expect to see daily firework displays at the Heritage Village, as well as parades around the city for four days. Should be a blast! The winter events will continue into the New Year. One of the most awaited includes the 19th Dubai Shopping Festival. The festival will commence of 2 January. It is the biggest shopping extravaganza in the Middle East; last year, over 4.5 million visitors were in attendance. The festival is a retail celebration that brings a surfeit of discounts, sales, competitions, prizes, fireworks, and other entertainment. The UAE is also bidding to host Expo 2020. Every five years and for a period of six months, World Expos attract millions of visitors. The World Expo has never been held in the Middle East, Africa and South East Asia in the history of the event. Considered a concrete bid, if the UAE is successful in winning the bid (due to be announced in November 2013), it will trigger a fresh investments in the Emirate, marking its transformation into a top global centre for tourism, trade and finance. “If Dubai wins the World Expo 2020 bid, we will witness another boom in the property market,” said Khalid Kalban, chief executive of Dubai-listed property developer Union Properties. Because of Dubai’s small population, the Expo could have more of an impact on its economy than most host locations. (Source: The National). Imagine the impact this could have on your potential career move. Senior candidates will be in high demand to help the UAE reach its true potential, attracting new investment to help transform the emirate into a dominant global economy. Watch this space and we’ll let you know the eagerly anticipated outcome. Take advantage of what Dubai and Abu Dhabi have to offer for senior level executives and start to plan your career in a new and exciting city with endless prospects. Make sure you’re effectively connecting with key industry Headhunters and Recruiters to ensure key opportunities don’t pass you by. Build your professional network in the Middle East. At Teleport My Job, we will use bespoke research to source new senior professional connections for you, targeting key HR decision makers in the region. We will also provide a free LinkedIn assessment or a free CV assessment for Senior Executives to ensure your skills and experience are being effectively represented; making you extremely attractive to future employers. Start building your professional network now. 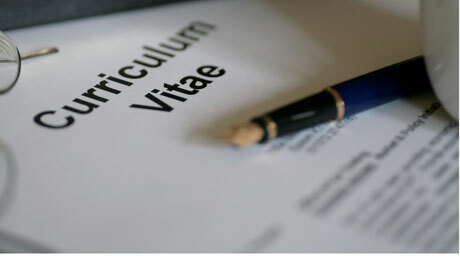 How Powerful is your CV for the International Jobs Market?